WinAVI Video Converter 11.4 - Download Win Apps. 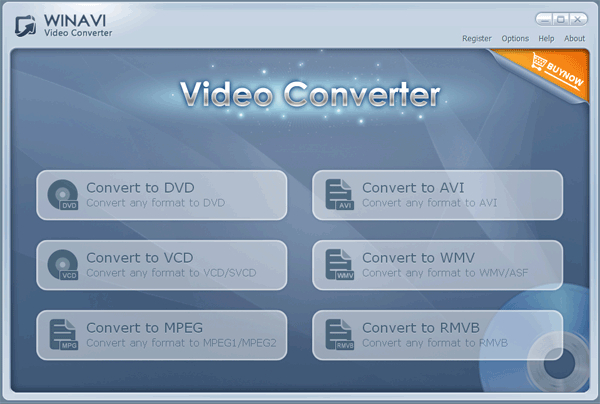 WinAVI Video Converter is a complete solution for video format conversion. WAVC is easy to use and just one click to convert with beautiful user interface.It supports almost all video file formats, include AVI, MPEG/MPG 1/2/4, VCD/SVCD/DVD, DivX, ASF, WMV, RM, QuickTime MOV MP4, and Flash SWF. And it has a powerful video decompress/compress engine that convert whole AVI movie to DVD in 15 minutes.